Get the glass steamroller pipe that is about 8 inches long. 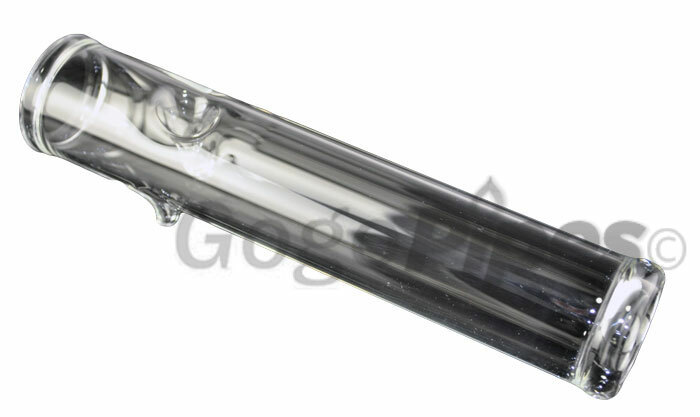 SteamRoller Pipes are very thick and high quality glass. Pros: The clear material makes it easy to clean. Pros: Thick glass, big carb, nice size bowl. Cons: feet on it could be a little thicker or added on glass, kinda thin glass on feet. Comments: for $24.99 a deal, not a $50.00 pipe, nice pipe for price! Pros: Raised on the steamroller the original had a patient # can you get me one . If not send me a catalog and we will do business. Cons: The hole in the bowl is too small. Pros: I love this pipe! This is my first steamroller and it doesn't disappoint. Worth the money.